This system of ashramas is believed to be prevalent since the 5th century B.C.E. in Hindu society. it still stands as an important "pillar" of Hindu socio-religious tradition. The nine nights are dedicated to the three main goddesses of Hinduism – Parvati, Lakshmi and Saraswati. 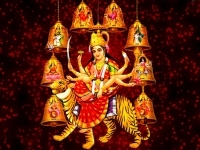 'Navratri' means the 'nine nights'. 'Nava' means 'nine', and 'ratri' means 'night'. Dhanteras, is one of the famous festivals of India. It is an important part of Diwali celebration. 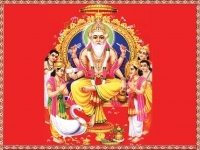 Dhanteras is associated with wealth and prosperity. On this auspicious day people buy golds. In Hindu mythology, the revered Ganges has extreme significance. From the mythological point of view, this sacred river is known as Goddess Ganga. Ganga is one of the most popular rivers in the world.